The Pyramids of Egypt are thousands of years old and yet they still continue to fascinate in our modern times. These structures are often surrounded with tales and mysteries to how they were built. The pyramids of Giza remain the most famous; however, there are hundreds documented throughout Egypt. These large tombs were massive and it was believed they took roughly 20 years to construct—all with precise planning, labor, and power. The pyramids of Giza are popular and it is estimated they bring 9 million tourists yearly. In the Beginning – Discover what the pyramids were used for, what items they might have held, and the evolution of their shape. 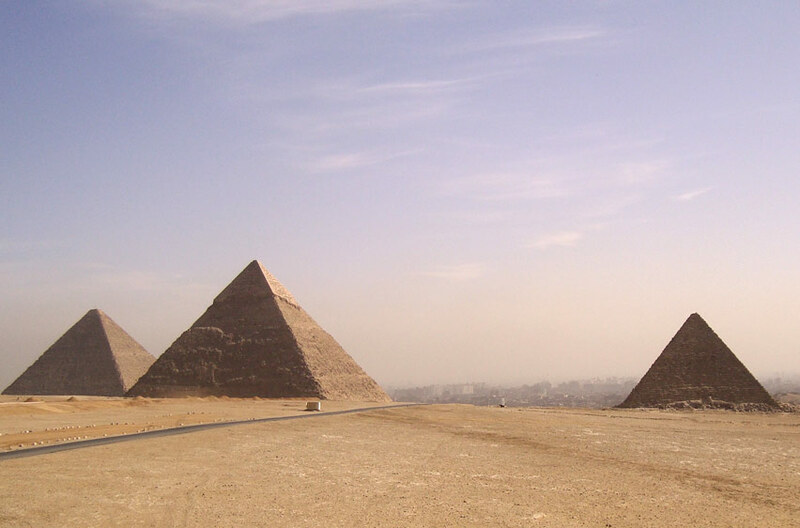 The Three Pyramids of Giza – Learn about the three most popular pyramids of Egypt. Bent Pyramid – Constructed by the Pharaoh Snederu around 2600 BC, the Bent Pyramid has a unique and intriguing history as interesting as any of the Egyptian pyramids. Lahun Pyramid – The Lahun Pyramid or El Lahun Pyramid is made for Senuret II. This pyramid is made of mud brick and holds many fascinating stories. Inside The Pyramid – Read about the chambers of the pyramid as well as what they were used for. Building the Pyramids – How were the pyramids constructed? This age old question continues to be a controversial topic that yields many theories. Virtual Pyramid – Discover the chambers of the Pyramid in 3D.